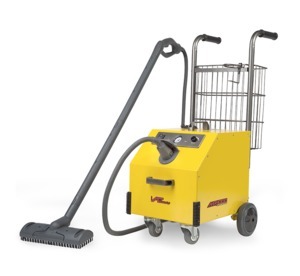 The MR-1000 Forza Commercial Steam Cleaning System is the flagship model steam cleaner from Vapamore. 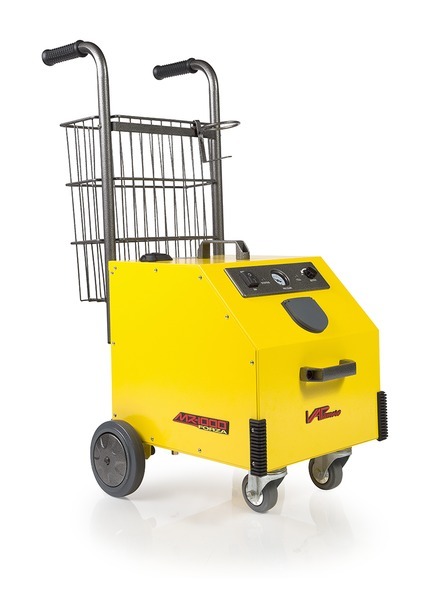 Designed with the latest advances in commercial grade, professional steam cleaning, this heavy-duty machine spent over two years in development. 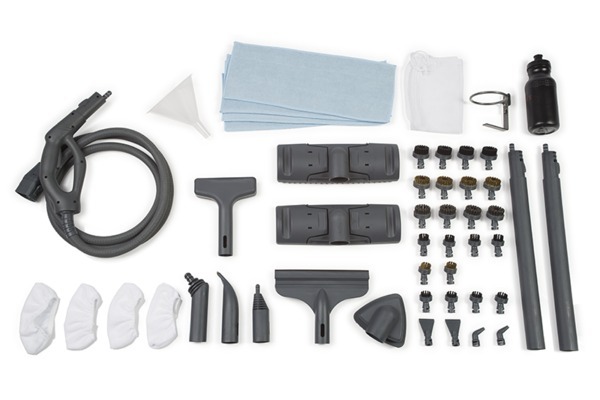 The engineers at Vapamore set out to design, from the ground up, the single greatest steam cleaner available—and they succeeded. Performance, value, and durability were the three top priorities while developing the Forza. 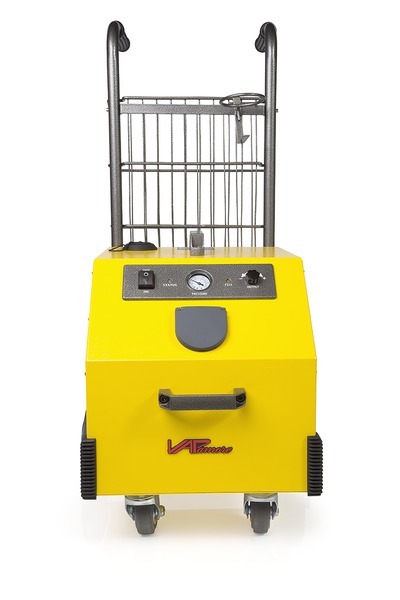 This machine features commercial grade steel construction, computer-controlled operation, Italian manufactured CEME® brand internal components, 90 psi steam output pressure, and much, much more. 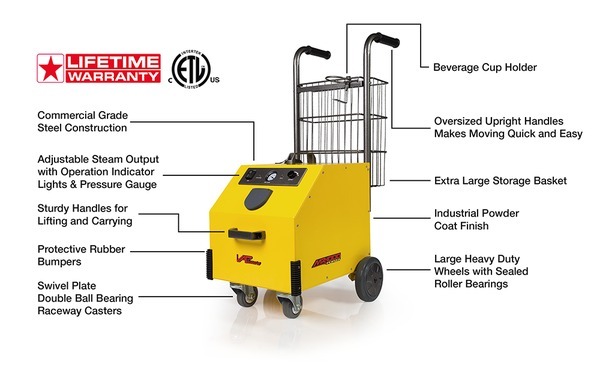 This machine is ETL certified with a lifetime warranty, and a massive spectrum of included accessories. 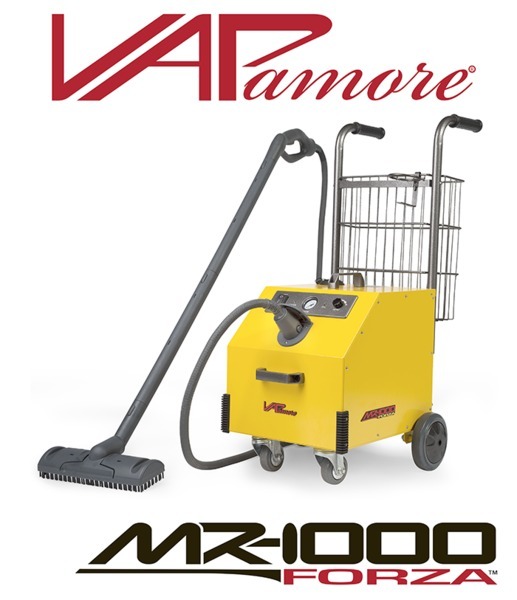 The MR-1000 Forza Commercial Steam Cleaning System from Vapamore™. Efficiency. Durability. Power.